Are you a nerdy queer human who loves crossword puzzles? Do you wish your crosswords were a little less, well, heteronormative? 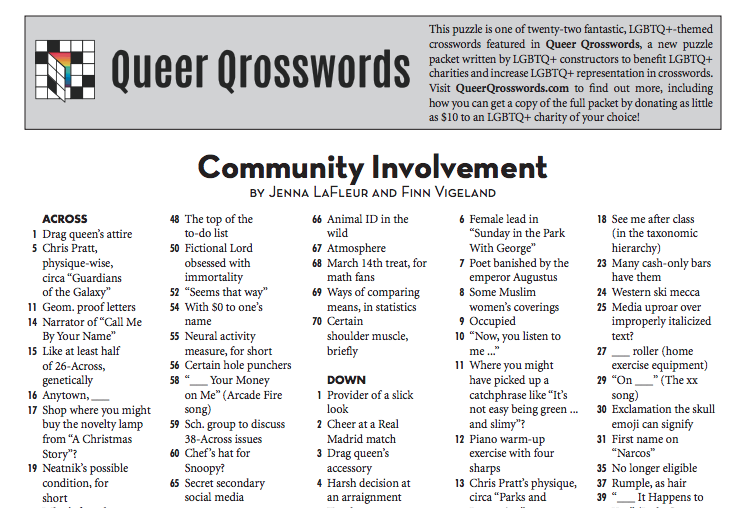 Wouldn’t it be cool if you could donate some money to a queer cause and get some rad queer crosswords in return? If you answered yes to any of these questions, you are in luck, my friend! I would like to introduce you to Queer Qrosswords, I think you’re gonna love it. 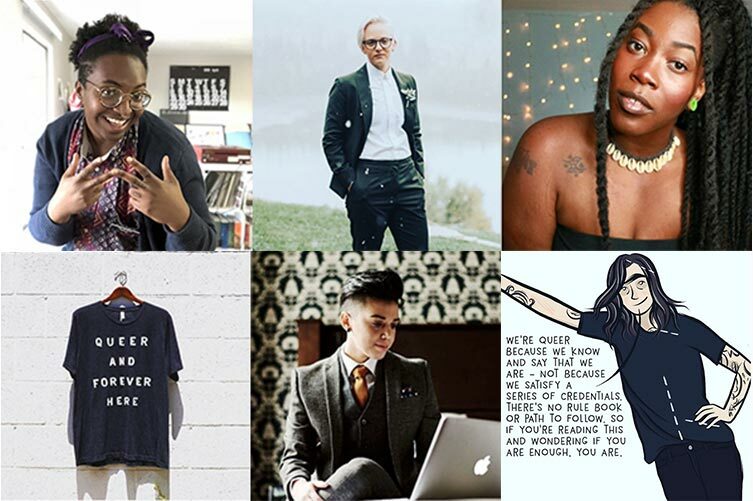 Born from a desire to support queer organizations in a particularly dangerous political climate and create queerer crossword content, Queer Qrosswords is a collaborative effort inspired by Puzzles for Progress. 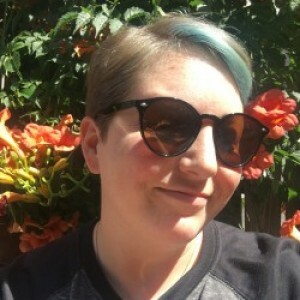 Nate Cardin, organizer and editor of Queer Qrosswords, explains that the goal of the project is to “support fantastic and essential LGBTQ+ organizations while also increasing the representation of LGBTQ+ people and experiences in crosswords.” Since its inception, Queer Qrosswords has raised $14,009 with 373 donors! 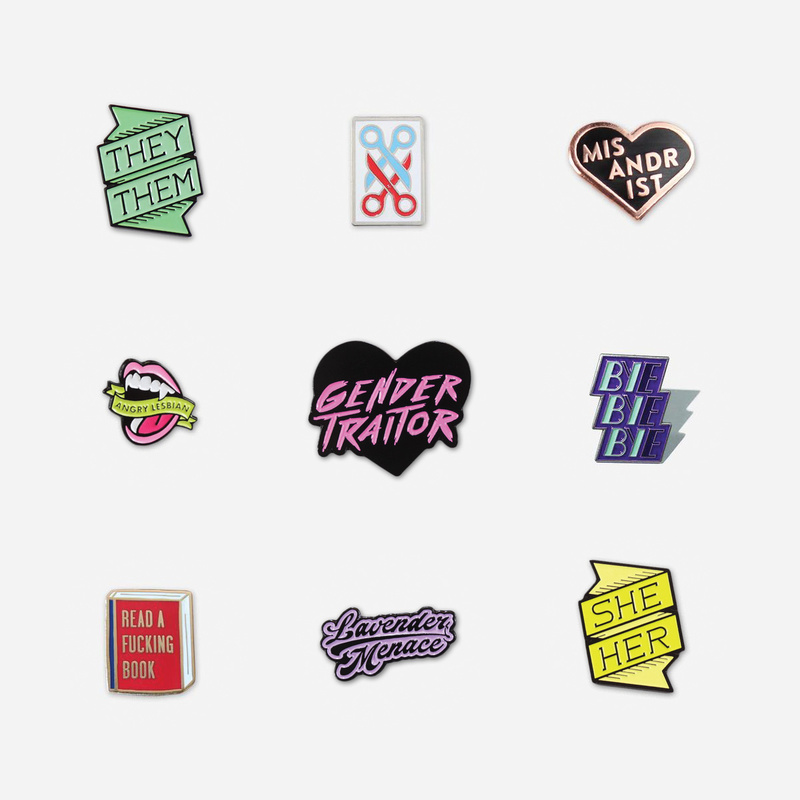 If you’re not quite sold yet, there is a very cute section of the website titled “Who Would Enjoy Queer Qrosswords” and the answer is basically everyone! 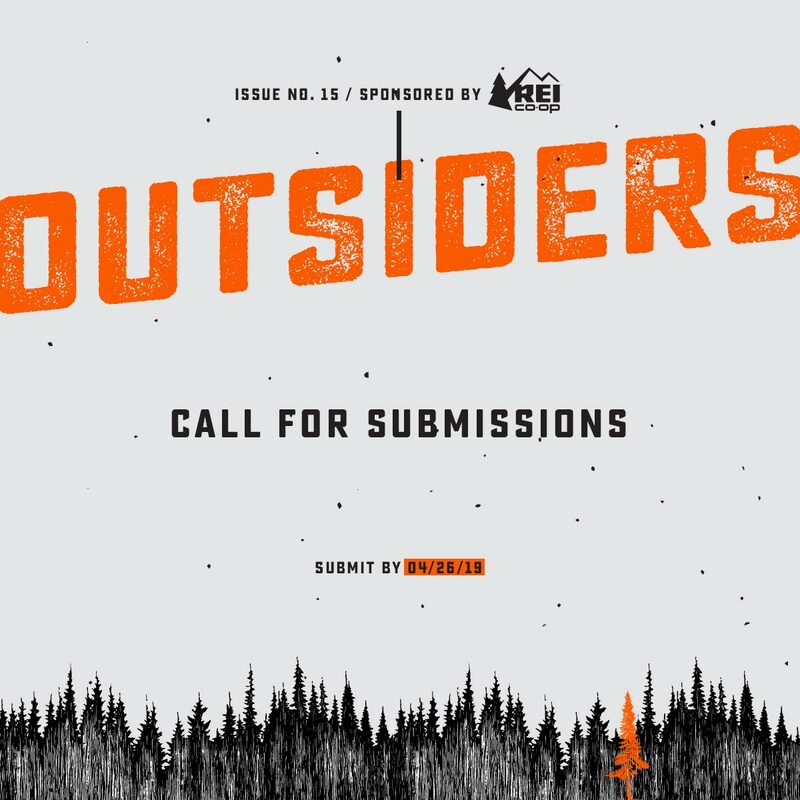 “Any and all crossword lovers, especially those in the LGBTQ+ community, any LGBTQ+ folks or allies who might be crossword-curious, those who value supporting indie communities and worthy charities, and your lovably nerdy teenager who just came out to you and needs to see themselves represented in one of their favorite hobbies (or soon-to-be hobbies)”! Like, okay, the NYT Sunday Crossword makes me feel like the least competent human on the planet and my father’s obsession with it through my childhood scared me away from crosswords for a long time but I feel ready to give this hobby another try thanks to this wonderfully queer packaging! You should join me! I presume that by now you’re sold on this situation, so I’m going to tell you what to do to get your very own pack of 22 LGBTQ+ themed crosswords! 1. Donate at least $10 to an LGBTQ+ charity or organization. 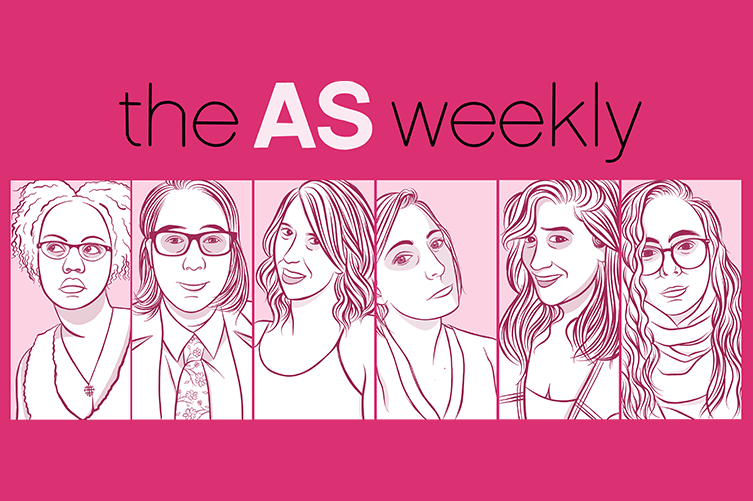 Queer Qrosswords has put together a list of their favorites (and Autostraddle and the A-Camp Arts and Resistance Fund make the list, so yes, you could definitely donate $10+ to Autostraddle dot com or to A-Camp and qualify to receive your queer crosswords, mmhmm, you really could!) 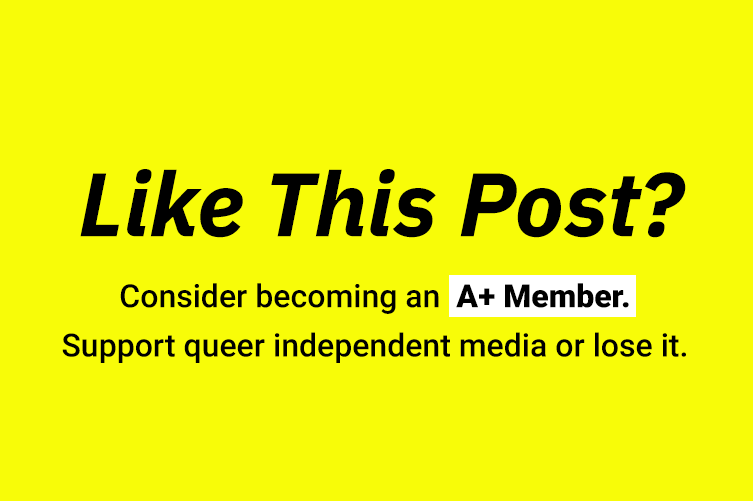 but you don’t need to choose off their compilation – as long as the organization focuses on LGBTQ+ lives, experiences, and/or resources you’re golden. 2. Forward the receipt to Nate Cardin at queerqrosswords [at] gmail [dot] com and he’ll respond ASAP with a PDF version of Queer Qrosswords. Boom! You’re done! If you want to get a good idea of the difficulty level of the whole puzzle set before obtaining it, you can check out the sample puzzle on the Queer Qrosswords website. If it looks good to you, donate, send in your receipt, receive your PDF, print out your crosswords, and let’s get nerdy together! 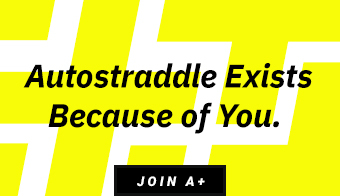 It would be very very cute to host a local Autostraddle meet-up where everyone brings a crossword and a brunch item and you have a Queer Qrosswords Sunday Brunch Scenario, JUST SAYING. 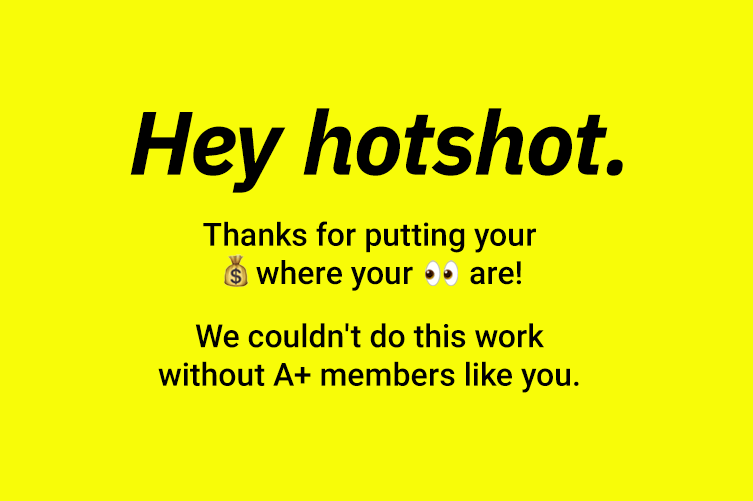 But also if you actually do that, please take pictures and send them to vanessa [at] autostraddle [dot] com immediately so I can make a cute gallery for this very website and also so I can die nerdy and joyful. HUGE props for Queer Qrosswords! I bought the packet and the FIRST puzzle is like a bisexual+ crossworder’s dream come true. I was in HEAVEN. …But yes, this is rad! What a great way to explore different parts of the LGBT community! I love it!